A bouquet of red roses can overwhelm anyone. Its overpowering presence and fragrance can consume people, and can compel them to give the sender a second look. Red rose bouquets have the desired effect when a single red rose is just not adequate to communicate what is usually much more than just liking. That's probably why people like to send red roses when they want to apologize for being hurtful, offensive. People often wonder what it is about red a rose bouquet that has such a dramatic effect on the recipient that even if they are hurting, they smile instantly and feel better. In fact, they are almost disarmed and become receptive to the sender even if the sender has annoyed them or hurt them beyond their tolerance level. 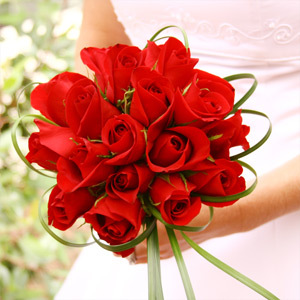 The answer lies in the fact that receiving a red rose bouquet is an exhilarating experience. It makes the recipient feel precious as it is the ultimate expression of giving someone attention, and feels like the perfect compliment. The receiver feels as beautiful as the bouquet, as important and as loved. That's why brides love to carry red roses to the altar. There is, however, a subtle difference between the impact of a rose bouquet received in private and one that is received in public. For instance, when a red rose bouquet is received by a spouse at the workplace, the spouse may feel really special because the public display of love will lead to greater approval and respect from colleagues. At the same time, a bouquet of red roses before a candle-lit dinner in a private dining room can also make a spouse feel rather loved. Red rose bouquets not only bring joy, but also alleviate pain. Sending one to a friend who has just been through a painful break-up, or a parent who is unwell, or a sibling who has not been able to manage good grades, can work like a healing touch. It makes loved ones feel that there is someone to share their pain with and they are not alone in their sadness. This healing touch is particularly helpful when the sender is unable to be present physically because of work constraints, or some other unavoidable limitations. Red rose bouquets also help when an important date needs to be cancelled at the last minute because of some other exigency and the sender wants to communicate genuine regret at not being able to make it. Similarly, the red rose bouquet helps senders apologize for forgetting anniversaries and birthdays without meaning to. The red rose bouquet always says much more than words.